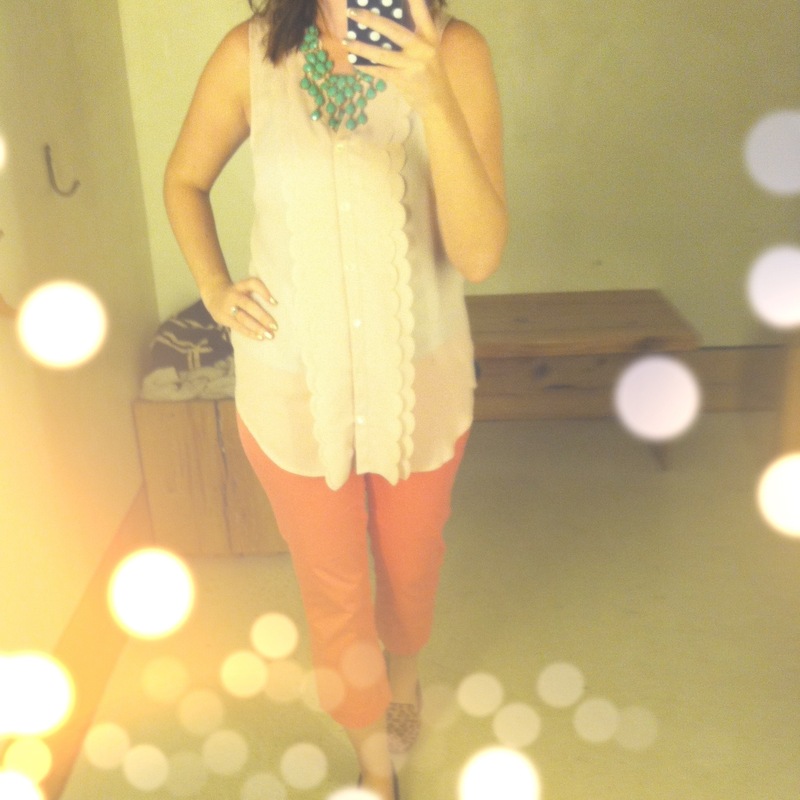 Just got this adorable top at Anthropologie –on sale!! I just about died when I saw it. I was with my good friend Linda and she can verify that I darn near keeled over with excitement. I love this top for so many reasons. It’s long, fitting at the top, and flowy at the bottom. Perfect with all colors. 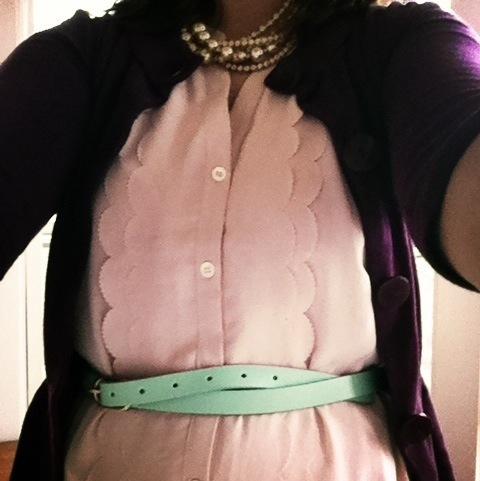 Including this mint belt from JCrew (also currently on sale!) that I also posted about here. Happy Thursday (one week until Thanksgiving!! )!